Products made by Beckson Manufacturing can be found in the automotive industry, the carpet cleaning and janitorial industry, and others. Furniture, display, RV and armored car manufacturers use our products. 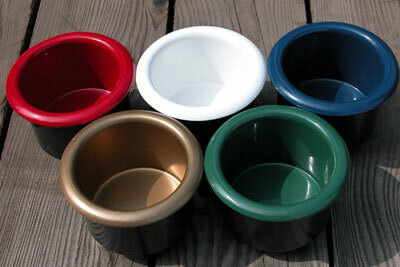 Recreational gaming table manufacturers use Beckson drink holders. Plastic clips, watertight access hatches, drink holders and hand pumps are a few of the products we make. Take a glance at the products that make us who we are and see why quality companies choose Beckson Manufacturing. © Copyright 2000-2015 Beckson Manufacturing, Inc.